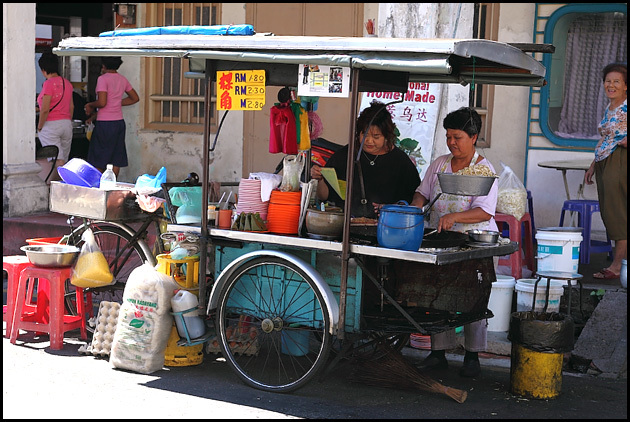 The Char Koay Kak stall at Macalister Lane, currently run by the Eoh sisters has been around for 40 years. Since taking over from their father’s helm 30 years ago only one thing has changed in their Char Koay Kak – oil. 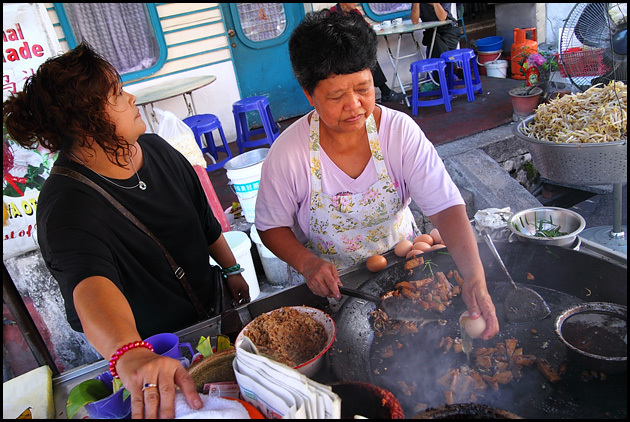 During the old days pure lard was used as the base frying oil to produce perhaps the most aromatic and delicious albeit unhealthy Char Koay Kak. But as time goes by, people have become more health conscious so most of the oil used by them currently is mixed with vegetable oil. 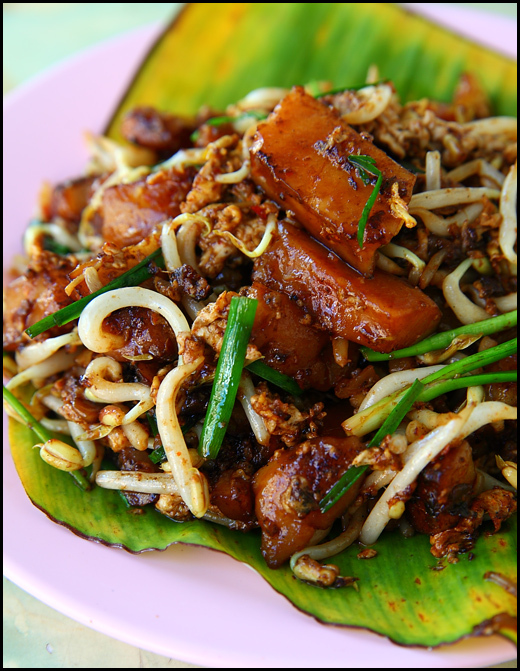 Other than oil, the other ingredients crucial enough to affect the Char Koay Kak’s taste are the quality of chai poh (salted radish), carrot cake as well as the dark soya sauce. For the carrot cake, the Eoh family used to make their own – using a recipe which they learnt from a close relative. But due to time and manpower constraint, they have now reverted to sourcing it from the same relative who decided to take up the business. 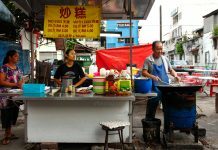 For your information, most Char Koay Kak stalls in Penang also source their carrot cakes from this family. Despite being soft and silky smooth in texture, the carrot cake (made with rice and corn flour) is tasteless and still need to depend on the dark soya sauce, chili and chai poh for the flavor. 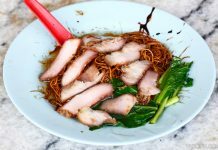 The dark soya sauce is normal but improved with extra seasoning while the chai poh and chili are bought fresh from the market everyday. And of course skill and experience have to be counted for as well. At RM2.30 the portion is reasonable, served on a banana leaf and always fried with egg, bean sprouts and Chinese chives unless stated otherwise when ordering. 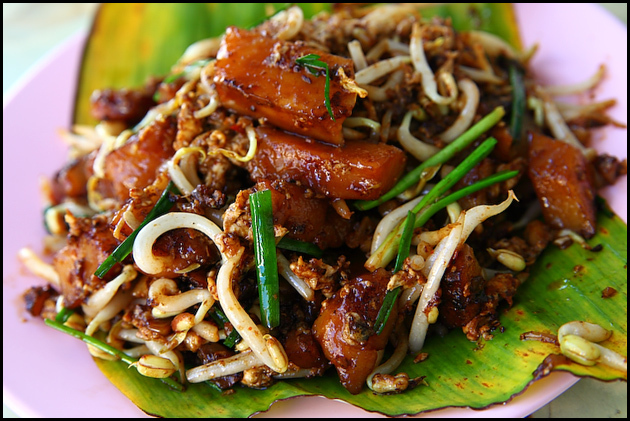 And if you noticed, the koay kak has a longer and slimmer shape compared to the usual, which is short and squarish. I feel this is a trademark for them when it comes to slicing the carrot cake. Anyway, for a simple Char Koay Kak this is good enough for me. 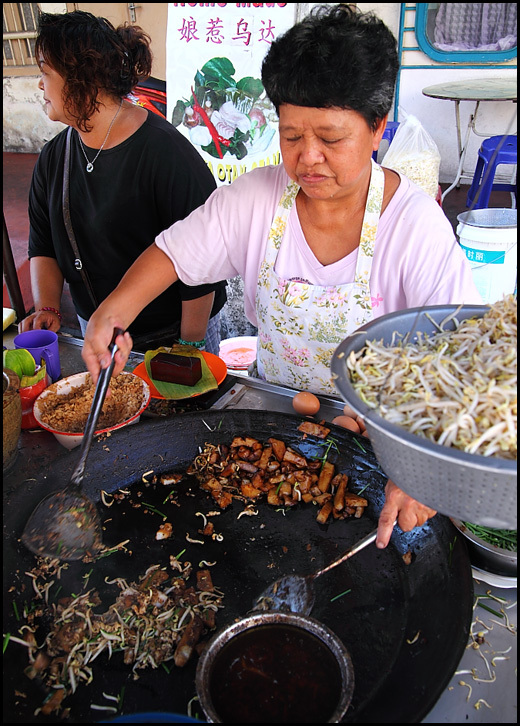 A right level of seasoning is achieved, doesn’t feel too oily and the crunchily fresh bean sprouts is always enjoyable. Service is fast despite the brisk business. 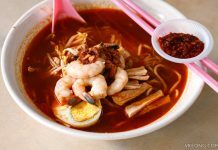 For those looking for an equally good Char Koay Kak but topped with more cholesterol goodness – I highly recommend Chan Kok Ming’s Seafood Char Koay Kak at Batu Lanchang market’s food court. Just don’t expect the same level of pricing though.